Vicarage Street was formerly known as Quedam Street or Quidham Street although the name Quedam Street fell into disuse and the name Vicarage Street became firmly established during the nineteenth century and was named as such from the 1841 census onwards. In 1856 Vickery referred to "Quedam-street (now Vicarage Street)". In medieval times the Chantry of the Blessed Virgin Mary Without the Church was supposedly built in Vicarage Street although since the chantry was actually attached to the church it is more likely that this was simply a property owned by the chantry which provided some income in the form of rents. 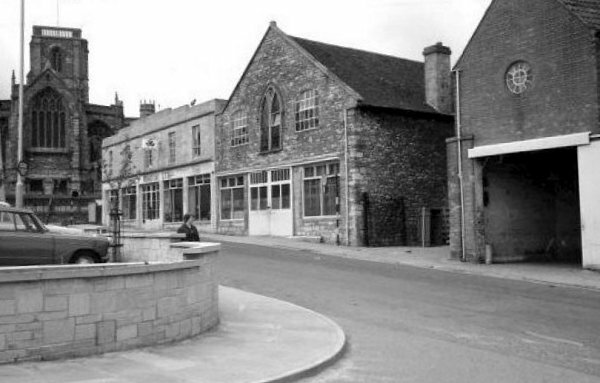 The site was later built on and became the Unitarian church, founded in 1704. In 1722 Dr Milner arrived at the church where he was to remain for the next 22 years. He also conducted a large school in the town. 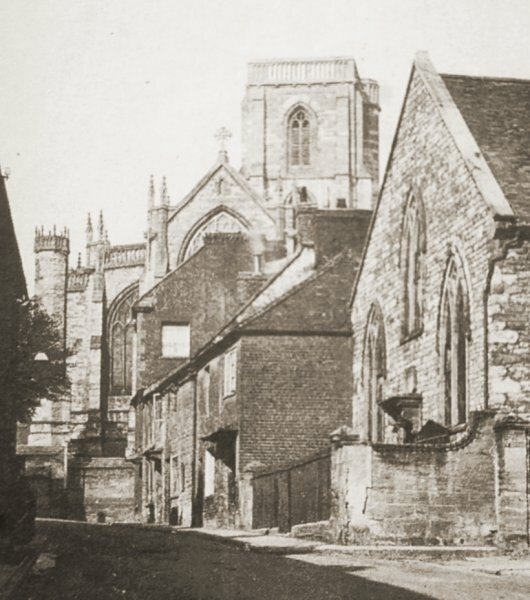 The church declined in the latter years of the eighteenth century but revived somewhat with the rebuilding of the chapel in 1809 - this is the building seen in the photographs below. John Daniell the Elder and his wife Elizabeth were members of the congregation and their son John Daniell the Younger was baptised in the chapel on 6 October 1757. 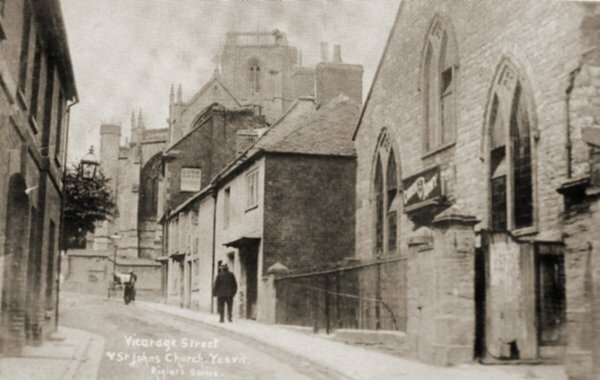 Thomas Southwood Smith, a young physician who practiced medicine in Yeovil took charge of the Unitarian chapel in Vicarage Street between 1816 and 1820. He lived in Kingston in a house later occupied by John Aldridge where he would run his Kingston School. Smith was succeeded by Reverend Samuel Fawcett, a radical who chaired a meeting in 1831 at the Mermaid Hotel in support of the abolition of slavery and for parliamentary reform. He was local treasurer of the British and Foreign Unitarian Association between 1827 and 1834. He lived at Hollands with his wife, a sister of Edmund Batten. 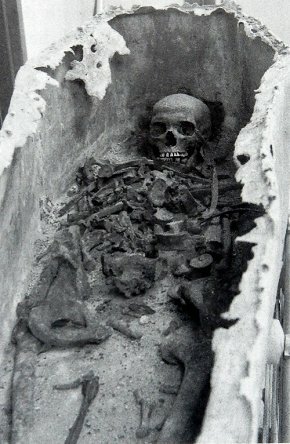 It appears that the Battens were a Nonconformist family and a coffin containing the remains of Edmund's brother Robert Batten (above), a Yeovil solicitor like his father and two brothers, were excavated in 1982-3 when the site of the chapel was being demolished for the construction of the Quedam project. Fawcett was listed as living at Hollands in the 1832 and 1834 poll books by virtue of owning freehold land called Cogan's Orchard. Fawcett, in turn, was succeeded by David Hughes. The congregation provided Hughes with the house called Grovecote in Preston Road as a manse. According to Vickery in 1856 the rents of this house, and a piece of land, formed an endowment of the church of about £40 per annum. For the Unitarian Register of Baptisms (1751-1759) - click here. A map based on the 1886 Ordnance Survey of Vicarage Street with Silver Street at extreme left. 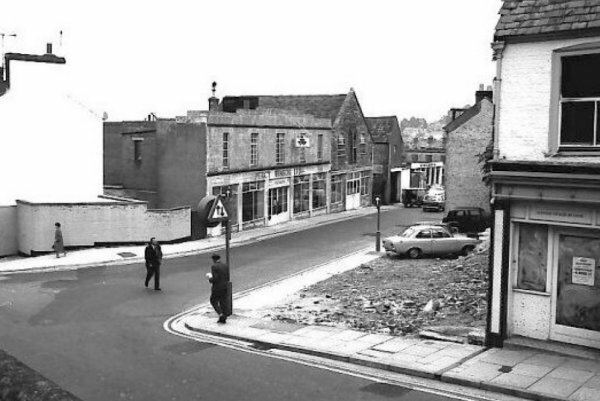 The Unitarian chapel is on the north side of Vicarage Street at centre left, the only property with what looks like a small front garden. An early photograph dating to around 1900, of the western end of Vicarage Street looking towards Silver Street. The Unitarian church, rebuilt in 1809, was in use at this time. This was built on the site of the medieval Chantry of the Blessed Virgin Mary. A slightly later photograph, probably dating to around 1910, of the same scene.